I’m an egg fanatic & enjoy eggs of different sorts. Are you an egg lover like me? If you are, can you get the correct answers to the following questions? Let’s relax & have some fun before we get serious! Recipe Featured @ PtitChef as 'Starter of the Day!" (Scroll down for answers when you’ve finished all 5 questions) Don’t cheat! Hahaha! What do you call an egg with cowboy boots? So did you answer all correctly? Hope you’ve enjoyed the little jokes. 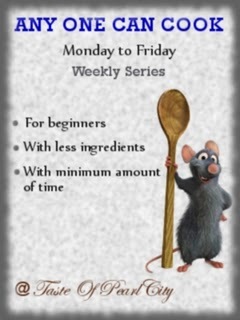 I'm submitting this recipe to Any One Can Cook: Series 46 @ Taste of Pearl City as this recipe is For beginners, With less ingredients & With minimum amount of time spent. 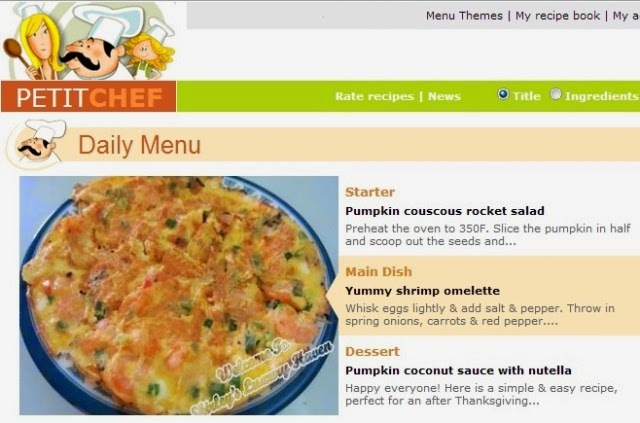 So do you still have rooms for an Eggi-licious recipe? Looks like this recipe has walked into the hearts of many foodies. 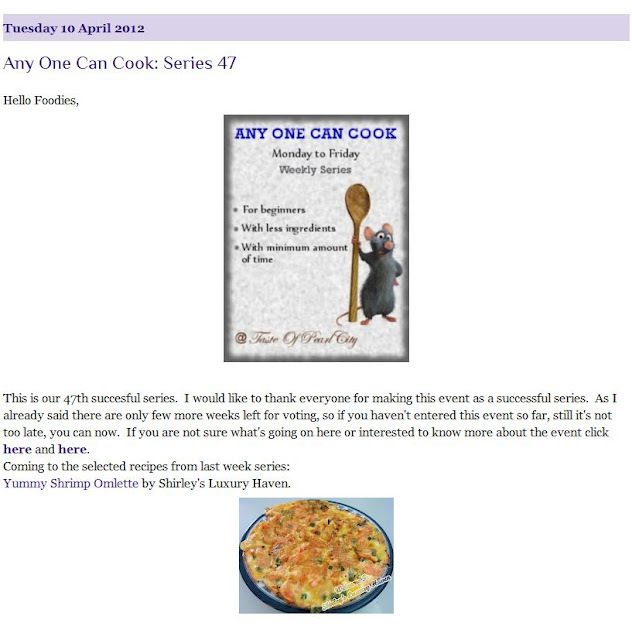 I'm delighted that it has also been Featured @ Any One Can Cook: Series 47! Whisk eggs lightly & add salt & pepper. Throw in spring onions, carrots & red pepper. Set aside. Heat oil & sauteed garlic till fragrant. Add shrimps. When shrimps turn slightly pinkish, pour in eggs. Turn eggs over when eggs are almost set. 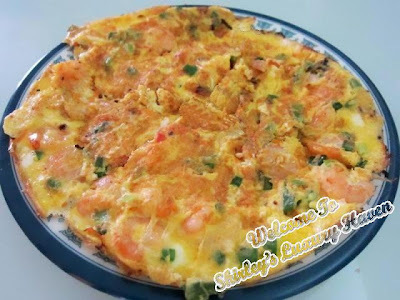 Transfer to serving plate & have your yummy Shrimp Omelette as a side dish or even as a one-dish meal! Hahaha! Sounds great! Hope it turned out well :) Thanks so much for trying so many of my recipes! Stressed over GF's problems?? Hahaha! Love to add prawns in my eggs :) It's delicious! Aha, we are in the same boat....egg lover!! :D However I couldn't answer all your egg questions...poor me...haha! See, I actually think of making omelette for lunch today. Great brains do think alike huh. 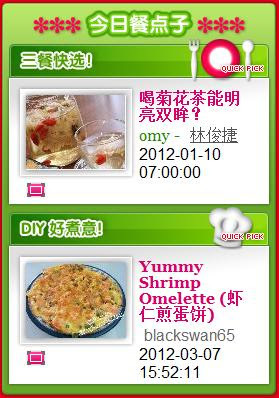 With prawns, of course that would keep me smiling the whole day :D Hope you have wonderful day, Shirley! Mary, hahaha! U're so adorable :) Love eggs! I can eat them everyday. Lol! Oh yes, I remember u're also a fan of prawns! Henry, alamak! Hahaha! Cooking this for your GF?? Mmmm.... i think i have not taken enough eggs. I didn't get any of the answers. Must eat more eggs from now on. LOL! Any simple dish when served under your hands, it become so wonderful. Doris, u're funny lah! Hahaha! But its ok since ur homecook meal cheers me up. I also love egg in different sort. When I in charge of cooking, everything also need to add egg; veggie put egg, chicken/pork also put egg and soup also put egg.. Hahaha..
Diana, questions too tough?? Mmmm..... Love your sense of humour! Lol! Fish, seems not many can answer.... better eat more eggs. Hahaha! Thks, dear! I have only had one seafood omelette in my life, so it is definitely time to have one again. Yours looks delicious. This recipe does make for one special breakfast. Have a great day! Tina, u're kidding me, right?? Love adding seafood in my egg dish. Gives an added punch! 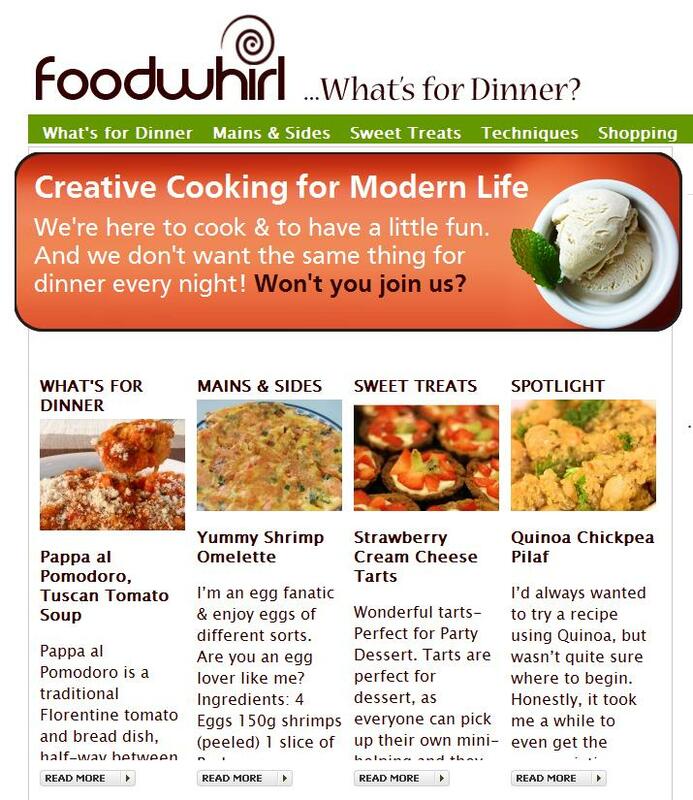 easyfoodsmith, glad u've enjoyed the quiz. Thks & have a lovely week! I love eggs be it sunny side up, half fried or in eggg curry. The omletter looks good, but since we do not eat sea food, will substitute with any veggies or peppers. Ash, glad we've another in common :) Great alternatives & I'm sure they taste just as good. 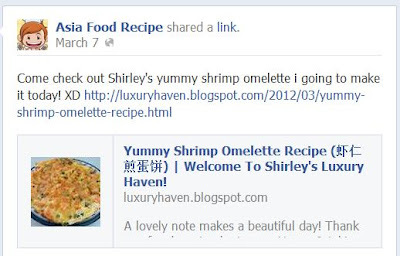 Funny and delicious post, Shirley! I loves eggs and this is a double treat for me because I love shrimps too! Tina, hope u'd a good laugh! Have a good week, dear! Raquel, u serious?? The combination is quite popular in Chinese cooking. Ok, ok, u must try! Hahaha! Haha. I answered non of it correctly. Anyway, I am also a egg lover. I always tell my mum that, 'it has been long time we never eat egg already' even though she didn't cook egg for just one day. Haha. Yalo, your question isn't easy. Haha. Your blog always pops up interesting stuffs like that. LuPorTi, hahaha! I'm glad u had fun :) Thks, dear! my biggest weakness egg!! nice shall try out. Muna, it's great to hear from u again. Thks! Mr Lonely, thks for visiting & u have a good day too! Alisha, hope u'd fun! Thks, dear! We love eggs too...just not allowed to take in too much :p cant seem to answers all your egg questions LOL! 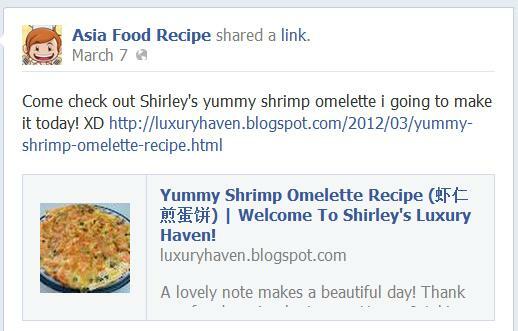 wow...shrimp omlette...this is definitely a must try :-)bookmarked ! Hong, the pan I used for the Minced Pork Omelette is rect-shape, so we get a different touch all together. Yum! Yummy no use the happy call pan for it? Looks so goood ! Happy call good? Motorway, u can see my review @ My New Toy, The Happy Call Pan! Have fun cooking!